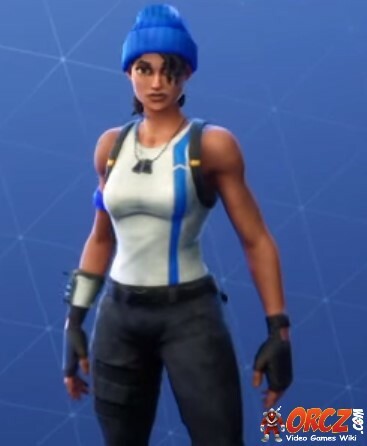 The Blue Team Leader Outfit in Fortnite BR. Free with PS Plus subscription. Blue Team Leader is the name of one of the outfits in Fortnite Battle Royale. Also you get the Blue Streak Glider. You can get the skin on PC if you sign in on Playstation. You need to log in on your PS4 system to get it. Logging in is enough, no need to start Fortnite. Once you have logged into your account, the skin and glider will be in your locker, both usable on PC and PS4.